I love giving one of kind gifts, so when I can find a craft fair or a craft mall I am happy to see if there is anything I can grab and stash away for a gift! Get your holiday shopping done early this year! 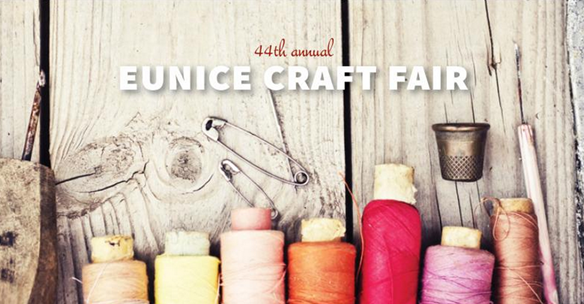 Find for homemade crafts, special gifts and even receive door prizes at the 44th Annual Eunice Craft Fair. Fifty vendors will have their items on display for purchase. The FREE event will take place on October 4, from 9 a.m. – 4 p.m., at the Eunice Activity Center in Arlington, Texas. When: Oct. 4, 2014 from 9 a.m. – 4 p.m.